This dough is easy to handle and will give you a crispy crust that's also tender. Dissolve yeast in 1 cup warm water in a small bowl; let stand 5 minutes. Combine 1 ¹/₄ cups cold water, oil, sugar, and salt in a small bowl; stir with a whisk. Weigh or lightly spoon 24.9 ounces (about 5 ¹/₄ cups) flour into dry measuring cups; level with a knife. 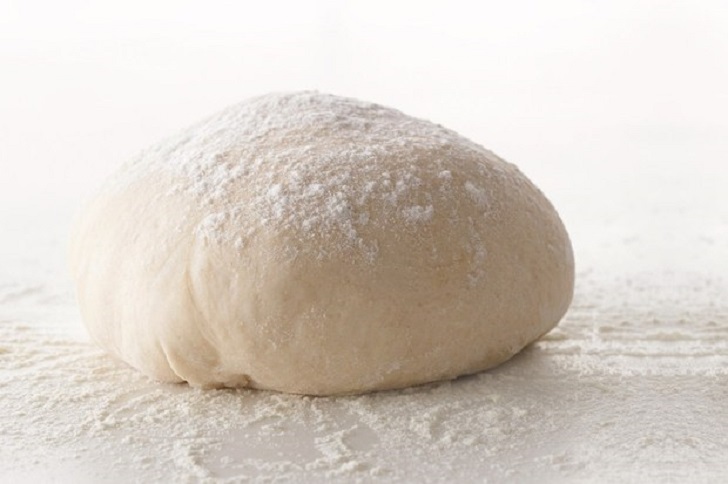 Combine flour, yeast mixture, and cold water mixture in a bowl of a stand mixer fitted with a dough hook. Mix on low 8 minutes or until dough begins to form. Let rest 2 minutes; mix on low 6 minutes or until dough is smooth. Turn dough out onto a floured surface. Knead until smooth and elastic (about 2 minutes); add enough of the remaining 1.19 ounces (about ¹/₄ cup) flour, 1 tablespoon at a time, to prevent dough from sticking to hands (dough will feel sticky). Divide the dough in half, and place each portion in a large zip-top bag coated with cooking spray. Seal and chill overnight or up to 2 days. Let stand at room temperature for 1 hour before using.